In many regions of India and Southeast Asia the sun shines often and intensively. However, this source of energy is still used to varying degrees in different regions. While larger projects are already underway in India, the potential in Southeast Asia is still largely untapped. In the future, however, solar energy could be used to provide the additional energy capacity that will be needed in the growth regions - by 2035 this would be 580 GW in India and 250 GW in Southeast Asia. 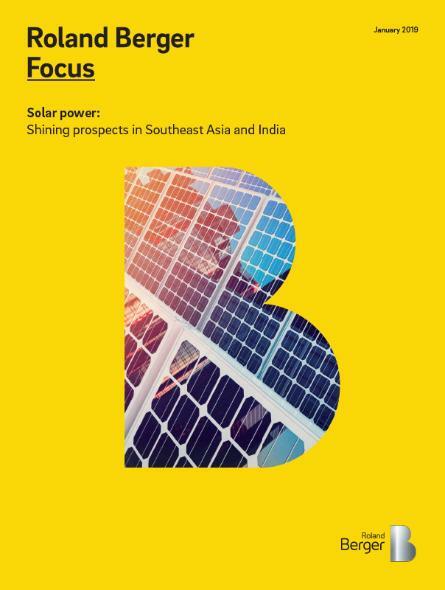 Roland Berger's study "Solar power: Shining prospects in Southeast Asia and India" highlights development opportunities for both major international projects and rural initiatives. In the growth markets of India and Southeast Asia, solar energy could help meet the growing demand for energy. As industrialization progresses, interest in renewable energies - as an alternative to coal - is growing in India. With average solar radiation of 18.5 megajoules per square meter per day, the current capacity is 20 GW. By comparison, the figures in Germany are 12.6 MJ/sqm/day and 43 GW and in China 16.2 MJ/sqm/day and 126 GW. 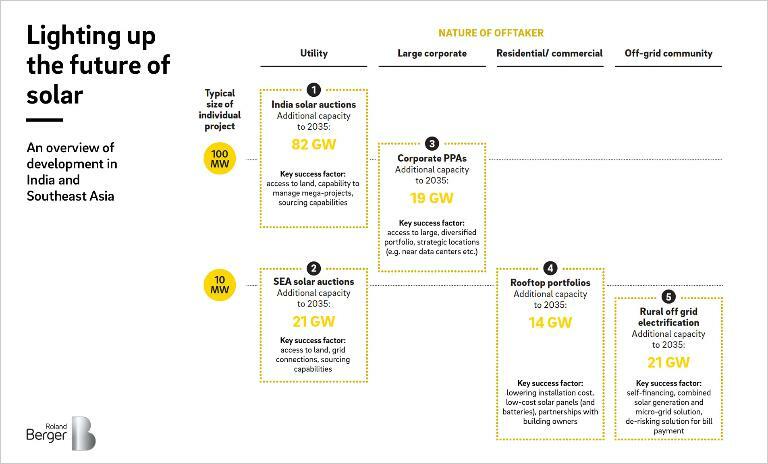 Important prerequisites for the solar industry in India are government regulations to minimize risk, competitive sales platforms and subsidies for large-scale projects. The latter use state-of-the-art technologies and guarantee solar power at a competitive price. In addition, the Indian government subsidizes the manufacture of solar components in its own country to become less dependent on Chinese imports and to further cut production costs. An additional 100 GW of solar capacity is to be built by 2022. 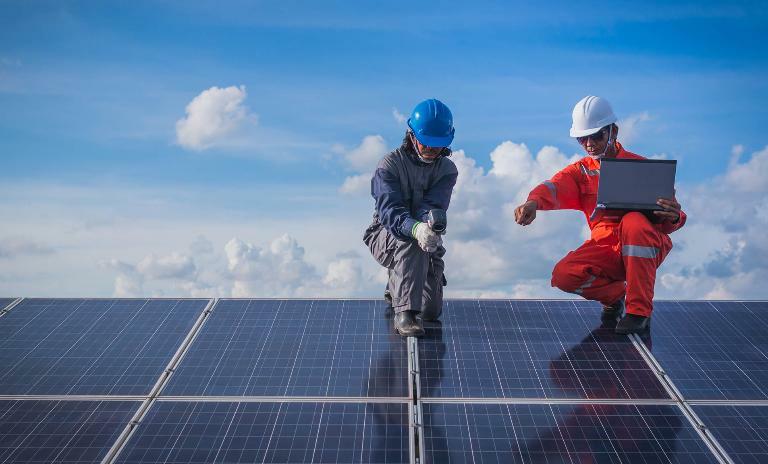 The conditions for solar energy are also favorable in Southeast Asia with average irradiation of 17.2 MJ/sqm/day versus 16.2 MJ/sqm/day in China. However, installed PV capacity in Southeast Asia only stands at 5GW versus 126GW in China. The untapped potential can be explained by a number of obstacles. On the one hand, there is no corresponding energy policy. On the other hand, the legal foundations, financing models and infrastructure have not yet been optimized accordingly. In order to support the expansion of the solar industry, larger projects should be initiated that attract major investors. In addition, the targets for the next three to five years would have to be raised at national level and the plans communicated to investors. Another recommendation would be to partner with international players to support infrastructure development. Standardized templates for power purchase agreements should be developed. In addition, risks would have to be minimized, for example through reliable regulation of access to electricity grids. From today's perspective, it seems likely that there will be about 90 GW of additional capacity by 2040. Foreign investors, such as the Green Investment Group and Ayala, are becoming increasingly active in India and Southeast Asia. From Roland Berger's perspective, five business areas are currently of particular interest. The spectrum ranges from auction platforms for solar energy in India and Southeast Asia, supply contracts for large corporations, small rooftop portfolios to rural projects. However, a detailed understanding of each segment and region is crucial to business success. In countries where there are no regulations yet, close cooperation with governments is essential. Power purchase agreements are necessary to ensure the creditworthiness of projects. Energy demand in the growth markets of India and Southeast Asia continues to rise. As in China, solar energy could contribute to meeting the demand.